I’ve known about Matisyahu for a while, but I never listened to him before tonight. I’m staying the night at a friend’s house and I was looking at their shared iTunes songs and they had some Matisyahu. 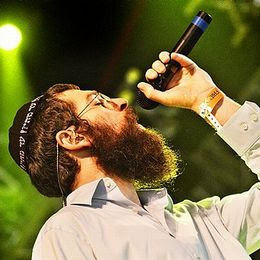 If you don’t know who he is, Matisyahu is an hasidic Jewish reggae singer. He has become quite popular with videos playing frequently on MTV. Much of the song is encouragement to seek God and to try to live a better life, asking for God to help you do so. Apparently Matisyahu was a heavy drug user earlier in his life, and the video and song are obviously an autobiographical depiction of someone who overcame their demons. I have heard a lot of Christians say they like his music. I agree that his music is good… but if someone is looking to Matisyahu as a prophet proclaiming God’s Word, I’m afraid he is very far from it. So then. 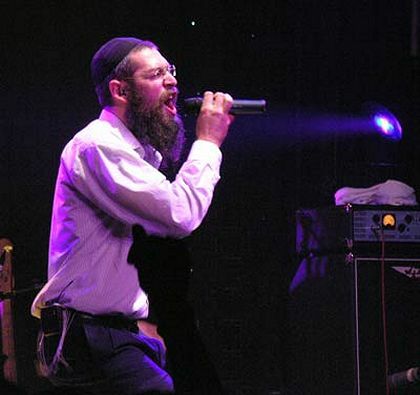 the question is, who is Matisyahu worshiping? John William Robbins ( 1948-2008 ) died at his home in Unicoi County, Tennessee on Thursday, August, 14. He was 59. I am indebted to Robbins’ life work. He has helped more than any other theologian, second to my pastor, understand what it means to have a biblical worldview. God gifted him with a great mind and, in my opinion, he put it to very great use. However, not everyone shares my opinion, to say the least. Robbins’ work is often simply ignored because people do not appreciate his tone. Gary North said “He was a bulldog in everything he did.” I have heard Robbins’ worked described as “some of the most vitriolic rage on the internet.” He has been described as a drug “pusher” responsible for getting young Christians hooked on Gordon Clark’s “methamphetamine” Scripturalism. I once had a conversation with a professedly Reformed Christian who told me he “hate(d) John Robbins so much,” he wanted to become a Roman Catholic just to spite him. Others attribute the controversies and divisions that Machen was involved in, and often the ringleader of at that, being due to in large part to his peculiar personality, for example, his “temperamental idiosyncrasies.”(36) That is, it is claimed that Machen was a very difficult man to get along with, even for his friends. Machen has been called just about everything including: bigoted, cankerous, a crank, inflexible, intolerant, lacking the ability to separate people from the issues he disagreed with, militant, narrow-minded, an obscurantist, rigid, temperamental (given to fits of anger), a troublemaker, and so forth. He seemed to have a personality that alienated people too easily. The committee that did not recommend him to the chair of apologetics at Princeton referred to his “temperamental idiosyncrasies” (see note 63). He seems to have had “a flaring temper and a propensity to make strong remarks about individuals with whom he disagreed” (see note 64). J. Gresham Machen – especially as a commonsense theologian and as a Southerner – in some ways might be considered a period piece. Not only that, he might be considered a cantankerous period piece. He had a personality that only his good friends found appealing, and he stood for a narrow Old School confessionalism and exclusivism that many people today find appalling. Nonetheless, despite all these features which might tempt us to dismiss him, I think we can also see there was a deeply committed Christian of great insight. 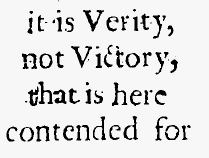 Perhaps future generation will look more kindly upon John W. Robbins than men do today. Hopefully they will at least read his life’s work.